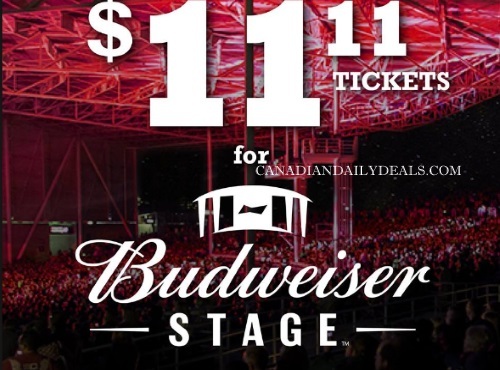 Pizza Pizza is offering $11.11 concert tickets for the Budweiser Stage (formely known as the Molson Ampitheatre) to their Club 11-11 members. Log into your Club 11-11 account to get the promo code for select concerts. To become a member, pick up a gift card in-store and register online. There doesn't seem to be a way to see what concerts included without having the card. I do not have one, if I manage to figure it out I will report back.